Tryon Palace cordially invites you to “An Evening with Diana Gabaldon,” writer of the bestselling “Outlander” series on April 26! 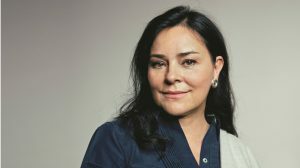 Exclusive Cocktail Hour & Dinner: ($450 per person) Mingle with Diana Gabaldon and VIP guests at this exclusive event. Tickets are limited to 75 people, and include a VIP cocktail hour with light hors d’oeuvres and select drinks, and preferred seating at the “Dinner on the South Lawn” event. Formal attire. Tickets are non-transferable, non-refundable, and cannot be exchanged. Event will take place rain or shine. Dinner on the South Lawn: ($300 per person) Join Tryon Palace for an affair to remember with an Outlander-inspired meal on the picturesque South Lawn. Hear remarks from Diana Gabaldon herself, and enjoy select drinks at the cash bar. Formal attire. The “Exclusive Cocktail Hour” will take place in the Commission House and the following dinner will take place on the Tryon Palace South Lawn.